Supporting data for "Snake fangs: 3D morphological and mechanical analysis by microCT, simulation and physical compression testing"
This data note provides data from an experimental campaign to analyse the detailed internal and external morphology and mechanical properties of venomous snake fangs. 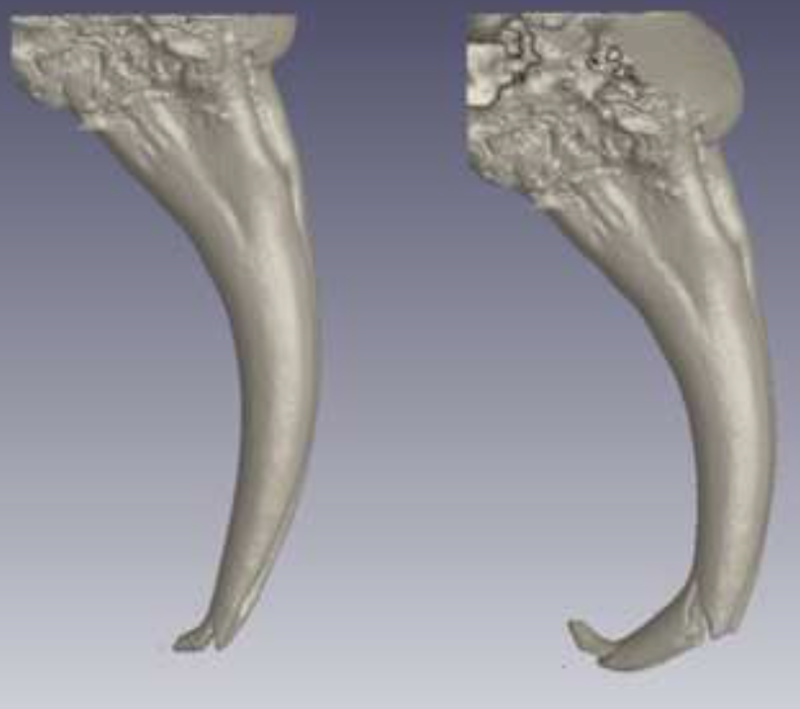 The aim of the experimental campaign was to investigate the evolutionary development of three fang phenotypes and investigate their mechanical behaviour. The study involved the use of load simulations to compare maximum Von Mises stress values, when a load is applied to the tip of the fang. The conclusions of this study have been published elsewhere, but in this data note we extend the analysis, providing morphological comparisons including details such as curvature comparisons, thickness, etc. Physical compression results of individual fangs, though reported in the original paper, were also extended here by calculating the effective elastic modulus of the entire snake fang structure including internal cavities for the first time. This elastic modulus of the entire fang is significantly lower than the locally-measured values previously reported from indentation experiments, highlighting the possibility that the elastic modulus is higher on the surface than in the rest of the material. The microCT data is presented both in image stacks and in the form of STL files, which simplifies the handling of the data and allow its re-use for future morphological studies. These fangs might also serve as bio-inspiration for future hypodermic needles. Displaying 1-10 of 20 Sample(s). Displaying 1-10 of 47 File(s).